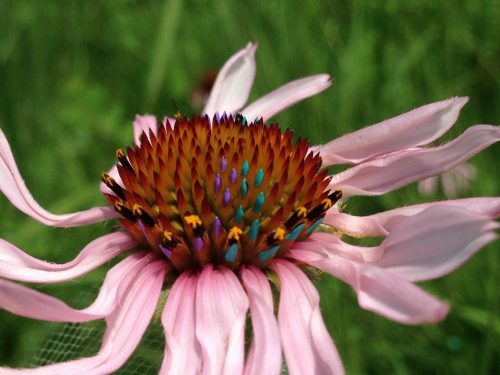 Description: The main goal of the qGen2 and qGen3 experiments is to quantify the evolutionary potential of two remnant prairie populations of Echinacea angustifolia by estimating the additive genetic variance of fitness. We make estimates for two mating scenarios. The first scenario is an experimental crossing design with all matings among plants from two “core” sites: SPP and LF (core x core). The second design uses sires (pollen donors) from the core and dams from sites peripheral to the core. The crosses performed (core x core, core x periphery) in this experiment will quantify additive genetic variance for fitness in each site and each experimental group. Additionally, we will test for differentiation among families; do progeny from sires differ after accounting for maternal (dam) effects? 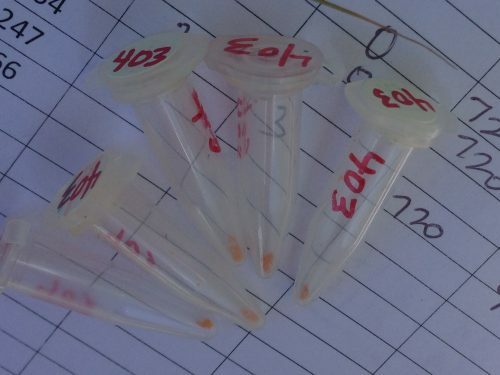 Read updates on qgen2 & qgen3 on our flog (field blog) written by members of Team Echinacea.